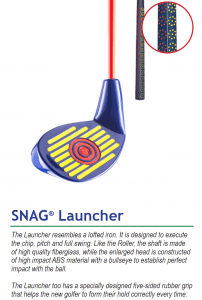 SNAG has been developed through years of research and practical experience in the U.S. and simplifies the basic techniques of golf. 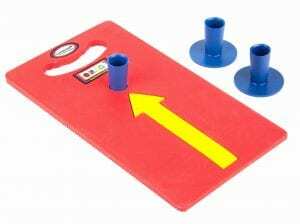 All the important elements of the game of golf are integrated: putting, chipping, pit­ching and launching (long shots). The 2 club system (roller & launcher) are equipped with five socket club grips and color markings for easily teaching the proper hold. 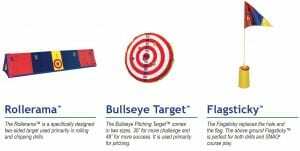 SNAG’s system also implements special balls, targets and teaching aids that are designed for self-correction and developing skills that translate to traditional golf. SNAG guarantees a fun environment to learn the game of golf, along with immediate success and great skill development in a short amount of time! 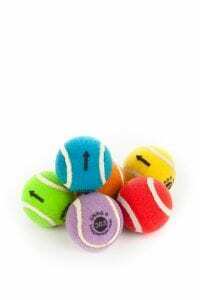 The SNAG® ball™ is a limited flight ball similar to the size of a tennis ball, but slightly smaller. This ball is made of soft material, but weighs the exact same as a golf ball. The ball has a dot for striking and and arrow for ball flight direction. Due to it’s limited flight, the average person can launch it about 50 yards which provides safe indoor/outdoor capability. The arrows on the ball and on the Launch Pad™ assist the player in recognizing the desired direction of play. The Launch Pad is used on all shots except the roll. It elevates the ball on the tee to make proper ball contact easier. It also protects the ground surface and club from being damaged when used in non-traditional areas such as gymnasiums or concrete surfaces. 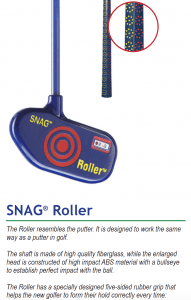 SNAG® Golf ('Starting New At Golf') is the best first touch program to effectively teach the game of golf to people of all ages and ability levels. 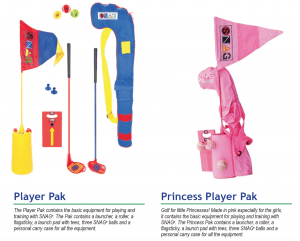 SNAG® Golf offers the versatility to learn and play in almost any environment you choose.